Posted on November 27, 2018 at 4:21 pm. Francis Grogan could well be on his way to retaining the top slot that everyone has known to be one of the most powerful companies on the Lusaka Securities Exchange (luSE). CEO Francis’ dual listed company (Zambeef has an AIM listing in the UK) recently posted its final audited results and they were impressive. Not too long ago, Francis was lamenting on the prospects of life without long time dual CEO Dr Carl Irwin who left the company following CDC cementing its hold on the Zambeef board with their equity investment of yesteryear. 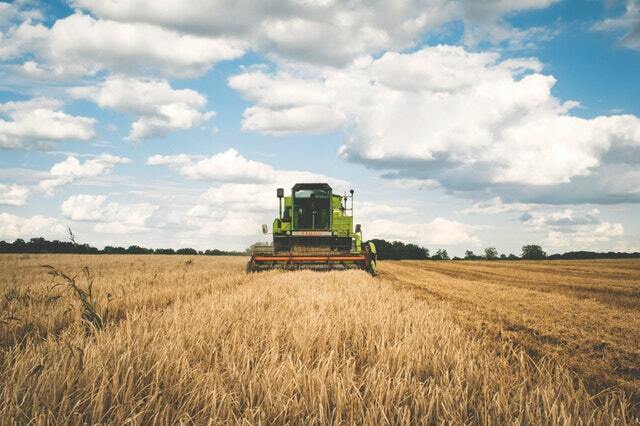 With a turnover increase of 14.2 per cent, it is clear the Francis and his rebooted board are well on the way to having a different life at the agricultural company. It is clear that CDC has brought focus to Zambeef with strategic decisions such as selling off non-performing assets in Carl and Francis’s 10 year project in Zampalm to IDC for a whooping USD 16 million (with a performance bonus). According to a statement from the company published on SENS indicated that as a result of this sale, the finance costs of the Group decreased by 20.1 percent in ZMW from ZMW 87.9 million to ZMW 70.2 million (USD 9.2 million to USD 7.1 million) no thanks to IDC crediting Zambeef’s account following the financial closure of the transaction. Overall performance of the company indicates that they remain unwavering in their strategic focus on the core divisions that generate strong cash flows: Retail and Cold Chain Food Products (CCFP) and Stock Feed divisions (no palm oil nostalgia). In a strategy that is now seeing replication across various industries from Cement to Sugar, 10 new Zambeef Macro retail stores were opened across strategic locations in Zambia along with three in-store Shoprite location. Revenue from Macro outlets grew 63.5 percent in Kwacha terms. This indicative of more consumers having intimate access to the Francis’ team’s product. Furthermore, their stockfeed operation which trades under the brand name Novatek saw 20.9 percent of the Novatek’s stockfeed production (200,846 tons) being sold through Zambeef outlets, compared with 8.3 percent in 2017. In addition, a further 27.4 percent of the stockfeed production was consumed in the Company’s Cold Chain Food Products divisions. The remaining 50 percent is sold to third-party distributors. The fundamentals of a streamlined strategy are clearly working for Francis. It is no wonder that profitability for the company is seeing an upward surge. Gross profit margins (GPM) increased from 32.8 percent to 34.5 percent (GPM was last highest in 2015 at 42.9 percent), resulting in gross profit increase of 20.1 percent in ZMW from ZMW798.6 million to ZMW959.2 million (increasing by 15.3 per cent. in USD from USD84 million to USD97 million). Operating profit increased by 36.5 percent in ZMW from ZMW87 million to ZMW118 million (31 per cent. in USD from USD9.1 million to USD11.9 million). With a macro environment that had the dollar appreciate by 20% against the kwacha in Q2 and Q3 2018, exchange losses took a bite out of their income statement but not enough to cause damage. Profit After Tax (PAT) of ZMW24.5 million (USD2.5 million), compared with Profit After Tax of ZMW4.4 million (USD0.5 million) for the same period last year indicative of a 400% plus increases which is outstanding. 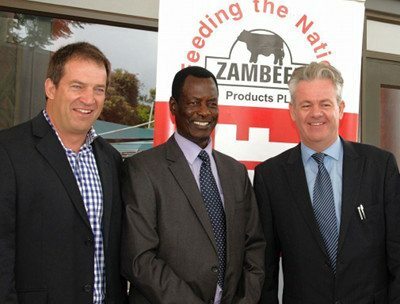 Zambeef attributes their stellar performance to their Retail and Cold Chain Foods Products division which they believe delivered a very satisfactory EBITDA of ZMW 193.5 million (USD 19.5 million), versus a prior year comparative of ZMW 132.7 million (USD 13.9 million). EBITDA margin increased from 7.0 percent to 9.7 per cent in the current year. Another wonder kid for the company was Zambeef’s Mpongwe Farm which continues to live up to its reputation as one of the most fertile and productive farms in the region. Accordingly to audited financials, overall EBITDA in the division increased by 332 percent from ZMW16.4 million to ZMW70.9 million. Furthermore, the demand for day-old chicks produced by Zambeef’s Zamhatch subsidiary is currently exceeding supply. According to a statement from the company, Zamhatch incubates approximately 400,000 eggs a week, with an industry-standard 86 percent success rate. Management indicates that they are working on increasing capacity to 500,000 eggs per week in 2019 and then 600, 000 per week in 2020 to meet demand. For a company that has been answering the make or buy decision, this scaling up may come from the purchase of an egg farm or up scaling currently existing facilities. Financial Insight believes that best option is the former however the company’s debt position will dictate the final decision. From a strategic standpoint, Francis looks set to continue on the macro outlet strategy as it is clearly a winning one. They believe that more new Shoprite/Zambeef butchery counter concessions being opened will create value for investors. With retail outlets increasing from 195 to 206, the company sees the use of technology through the completion of the technology implementation project that will see the company update its Point of Sale (PoS) infrastructure in order to allow vastly more detailed and valuable management information across the company. Although the company is keen on focusing on those divisions that give it the most, they will not be neglecting those under performing divisions as they seek to have evenly distributed performance across the group. This will require some tough decisions and we believe this management team is not afraid to make them.